One of the world’s foremost experts on bionic prosthetics will be exploring the drive to rewire humans in a lecture at the University of New Brunswick next week. Levi Hargrove, director of the Neural Engineering for Prosthetic and Orthotics Laboratory at the Rehabilitation Institute of Chicago, will be delivering the Dineen Memorial Lectures at UNB. In Fredericton on Tuesday, Nov. 8 and in Saint John on Wednesday, Nov. 9, he will speak on Rewiring Humans: Improving the Control of Bionic Limbs. A distinguished alumnus of UNB, Dr. Hargrove will review the cutting-edge research he and colleagues have undertaken that is allowing people who have lost limbs to control artificial replacements with mere thought. This is achieved through surgery – rewiring nerves in the body so that they can control advanced prosthetics in place of lost limbs. “That’s why the talk is called ‘rewiring humans’ – we are, in a way, rewiring them so that they can control arm and leg prostheses kind of in an unprecedented way,” says Dr. Hargrove. 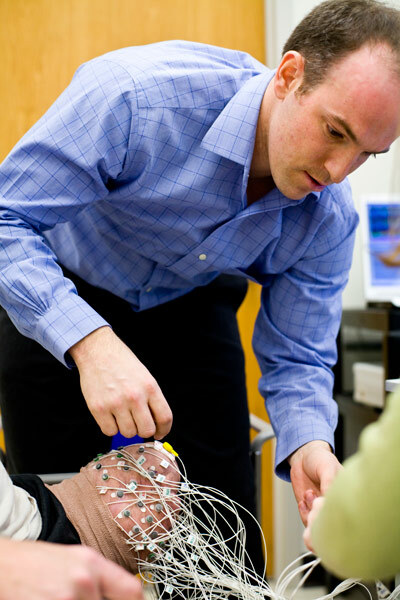 The University of New Brunswick’s internationally renowned Institute of Biomedical Engineering plays a critical part – decoding the electrical signals from the brain that pulse through the nerves so that the prosthesis responds properly. Dr. Hargrove, a native of New Brunswick who completed both his master’s degree and PhD in electrical engineering at UNB, vividly remembers what inspired him to pursue this research – childhood awe at seeing Terry Fox’s drive to complete his cross-country journey. A pioneer now himself, Dr. Hargrove looks with hope to the future – a future where bionics are implanted in the human body. Work is already underway in Chicago and in New Brunswick to propel that future forward by integrating sensors into the body. “There’s a huge thrust and focus in that now. That’s going to take a lot of research and investment. Some of the scientific questions will be answered at the University of New Brunswick,” he says. The Dineen Memorial Lectures began in 1980 and honour former engineering professor and UNB president James O. Dineen. The lectures focus on technology and its impact on society. Dr. Hargrove will deliver the 36th Dineen Memorial Lectures on Tuesday, Nov. 8 at 7:30 p.m. in the Dineen Auditorium of Head Hall on UNB’s Fredericton campus and on Wednesday, Nov. 9 at 7 p.m. at the Ganong Hall Lecture Theatre on UNB’s Saint John campus.